Welcome to Backyard Farmer and our new website, a website for people who want to live a more sustainable lifestyle, tending their gardens, growing their own produce and even keeping their own livestock. Backyard Farmer are always adding new features and products to help you in your endeavours to get the most out of your garden or plot, along with practical tips. As a family run farming and poultry business, Backyardfarmer have been rearing poultry for over 40 years. We think this puts us in a pretty good position to help you, whether you want to grow a few vegetables in your small city garden or have a smallholding with your own chickens, turkeys and sheep like us, enjoying a taste of the 'good life'. As the long summer nights draw in and we get a chill in the air, it certainly get you thinking about cosy nights by the fire, and time to stock up on your logs for the winter. 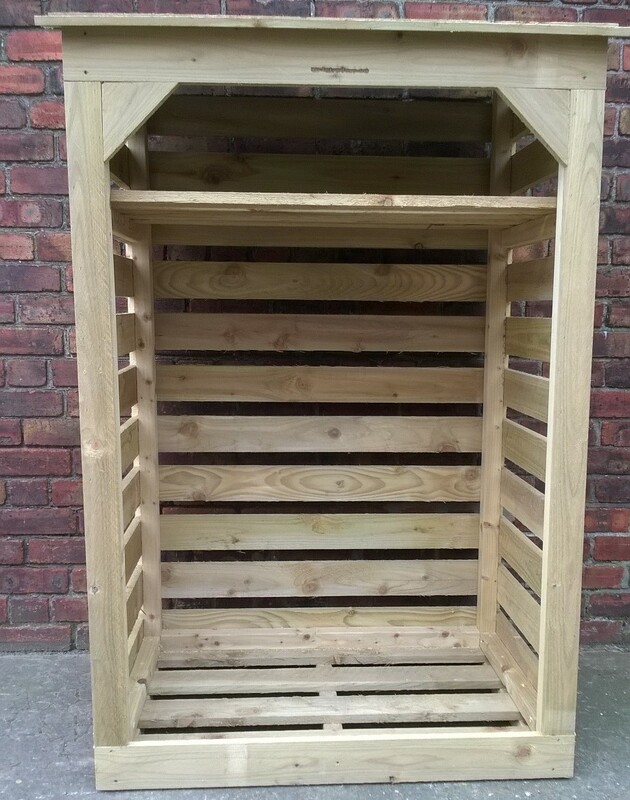 Our individually handbuilt log stores are made so you can season freshly cut timber and are perfect to store already dry seasoned wood. 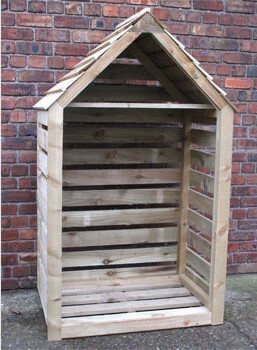 Our backyard farmer log stores will allow your logs to breath and will help them dry naturally, whilst protecting them from the wet weather.